From the creation of dramatic statements to a subtle infusion of ambience, theatrical lighting is one of the most essential ingredients to any private party. It turns the fantasy into reality and is the bulb that lights up the dream. TLC’s experienced technical team can create a spectacular backdrop to any private party, using the latest technology to add atmosphere, vibrancy and theatre to some of best parties in Manchester and the northwest. Lasers, fireworks and pyrotechnics – let our professionally trained technicians bring your event to life! TLC is expert in recommending artists for the perfect private party! Years of experience and an enviable little black book of contacts has allowed TLC exclusivity to some unique and sensational acts. X Factor International Unknown. All the TLC artists contribute to the perfect private event. Entertainment is the vital ingredient to any private party, and TLC google the globe to bring you the best. TLC provides the finest private party catering in Manchester, and beyond! TLC will work with their recommended caterers to carefully select food that is as fresh and innovative as it is delicious, providing the best private party catering available to meet your specific and exacting requirements. With celebrated chefs in various cuisine, experts in Asian, Fusion, Oriental and more… TLC is passionate about the food and its presentation. The proof of the pudding is in the eating, so call us now to discuss your next private party catering needs on 0161 876 6266. 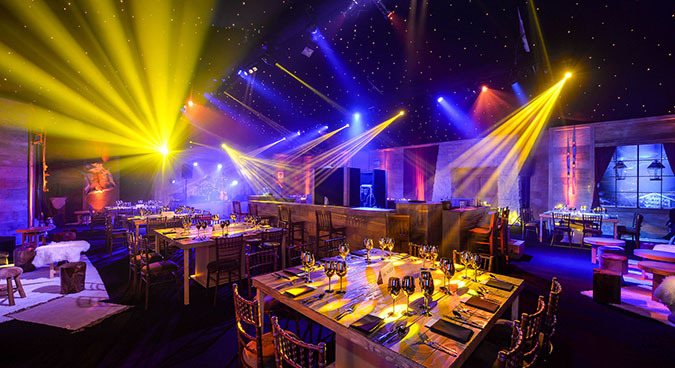 From the creation of dramatic statements to a subtle infusion of ambience, theatrical lighting is one of the most essential ingredients to any private party. It turns the fantasy into reality and is the bulb that lights up the dream. TLC’s experienced technical team can create a spectacular backdrop to any private party, using the latest technology to add atmosphere, vibrancy and theatrical drama to some of best parties in Manchester and the northwest. Lasers, fireworks and pyrotechnics – let our professionally trained technicians bring your event to life! Find the right venue for your private party and everything will fall into place. Whatever you have in mind, TLC will have the answer. From a marquee to a mansion, a yurt to a yacht, the top of the Eiffel Tower or the Vatican in Rome, we can create spectacular private parties in stunning locations across Manchester, the northwest and beyond! To find an exceptional location for your next private party, call us now! TLC turns fantasy into reality! For creativity, innovation and inspiration, look no further than TLC. We can turn imagination into vision, and have produced some of the most dramatic and memorable private parties in Manchester and across the globe. Handpicked, the TLC team of experienced suppliers combine with a professional private party planners to produce statement making parties.